According to Forbes, the average user spends 88% more time on a website with video than without. But, this should really come as no surprise — these days, there’s a video hanging out on just about every corner of the internet. 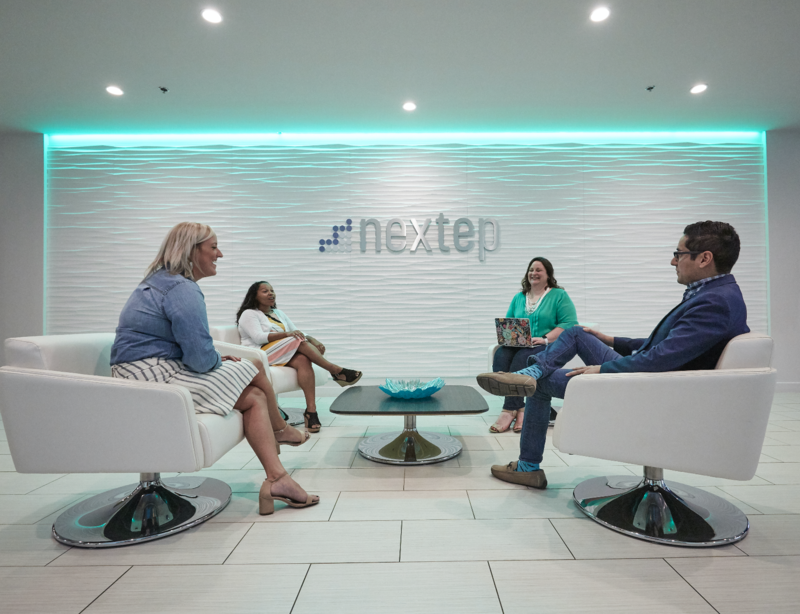 Naturally, businesses big and small have jumped on this trend and are using video to share unique brand stories and build engaged audiences. However, when it comes to optimizing for search and prioritizing accessibility, many businesses still have a long way to go. This is a huge missed opportunity for companies who aren’t already creating video content. 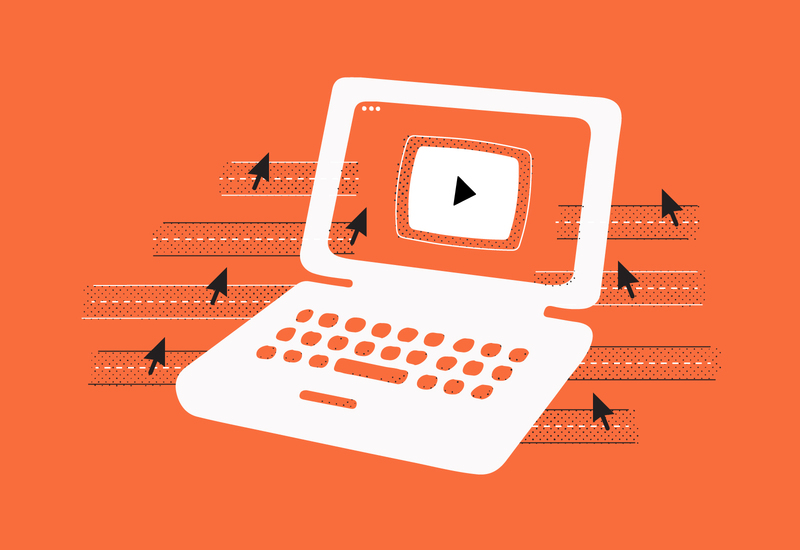 Instead of focusing primarily on the production of the content itself, businesses should start thinking about what happens after the video is actually made. How will people find your content? And when they do, are you ensuring that everyone who wants to consume it can? That’s where captions and transcripts step in to save the day. Captioning is a process that involves dividing transcript text into chunks, known as “caption frames,” and time-coding each frame to synchronize with the video’s audio. The output of captioning are called captions, which are typically located at the bottom of a video screen. Captions allow viewers to follow along with the audio and video or captions interchangeably. Transcription is the process in which speech or audio is converted into a written, plain text document (a transcript) with no time information attached. There are two main transcription practices: verbatim and clean read. Verbatim transcribes the audio word-for-word, including all utterances and sound effects, which is great for scripted speech like a TV show, movie, or skit. Clean read transcription edits the text to read more fluidly, perfect for unscripted content like interviews or recorded speaking events. With these definitions top of mind, the next question on the table is how exactly can captions and transcripts benefit your business? 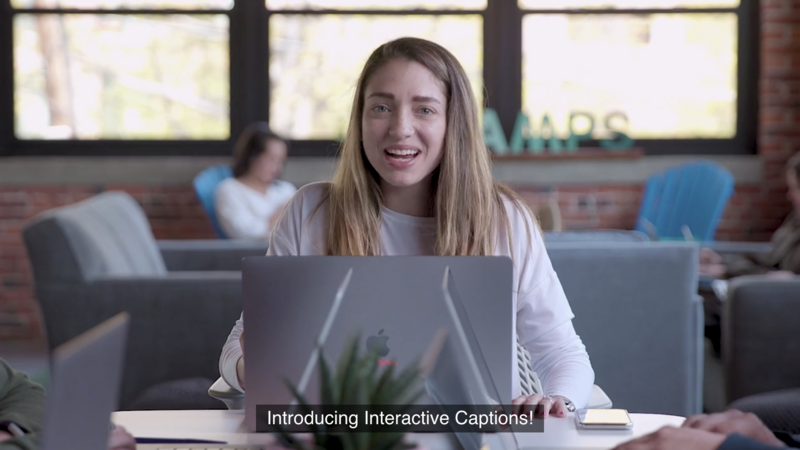 In this post, we’ll cover all the reasons why captions and transcripts are not only great for SEO, but even more importantly, how they ensure your videos are accessible for all! For content marketers far and wide, getting your text-only blog posts or pages crawled by Google was a breeze back in the day. If you aren’t familiar with search engine lingo, Google describes crawling as the process by which Googlebot (Google’s web crawling bot, or “spider”) discovers new and updated pages to be added to the Google index. But, once videos hit the web, Google changed what they looked for in order to crawl this type of content. To get indexed, people reassessed how to give Google a good read of their video. Just like blog posts, optimizing your video file’s metadata (the titles and descriptions associated with your content) helps Google pull information to display in search results. However, the amount of metadata you’re able to provide is usually limited. Luckily, an easy way to make your content more “visible” and readable for search engines is to provide captions or transcriptions for your video. In Google’s "Video Best Practices" guide, Google says it can extract information from the page hosting the video, including the page text and meta tags, but only some meaning from the audio and video of a file. So, it turns out this mighty search engine can’t see or hear everything, huh. And since that’s the case, transcribing your video and placing its transcript on the video’s page allows for better indexing all around. Closed captions offer a readable text file search engine spiders can crawl. But, be careful! Only closed captions provide this SEO benefit, not open captions. To learn more about the differences between open and closed captions, check out this helpful post from 3PlayMedia. By ensuring your videos all have captions and transcripts, you can potentially rank for multiple relevant keywords and increase search traffic with more than mere metadata. But as we’ve said before, the most important thing is to make sure your video is actually valuable to your audience. Otherwise, these optimization tips won’t help you if your content isn’t engaging in and of itself. As Wyzowl reports in their 2018 State of Video Marketing Survey, 80% of marketers say video has increased dwell time on their websites, which refers to how long a user spends on your site. With stats like this supporting video as a promising medium for marketers, isn’t it worthwhile to help viewers get the most out of your content? If you’re dwelling on a solution for keeping people engaged, captions could do the trick. And in turn, you just might see your viewers sticking around your site for longer periods of time (why hello, SEO). While your content may be chock-full of outstanding value, it’s always possible people might zone out or miss something you believe is super important. Captions help people follow along and remember your content long after they’ve finished watching your video. And, if your viewer is on a mobile device, captions can help accommodate their viewing experience — especially if they can’t play audio out loud (we’re looking at you, public transit riders). PLYMedia even measured a 40% increase in viewing for captioned videos and found that people were 80% more likely to watch the entire video to completion when given the option to choose closed captions — those numbers are nothing to scoff at! 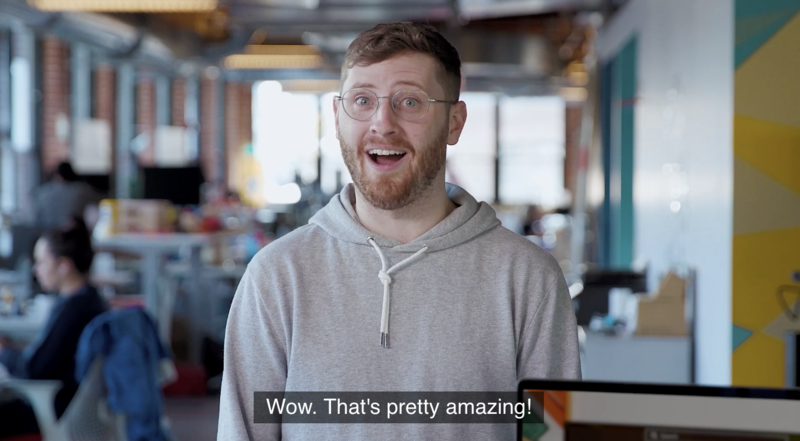 If classic captions sound pretty sweet, then you might be interested in learning a bit more about a neat new Wistia feature called Interactive Captions. 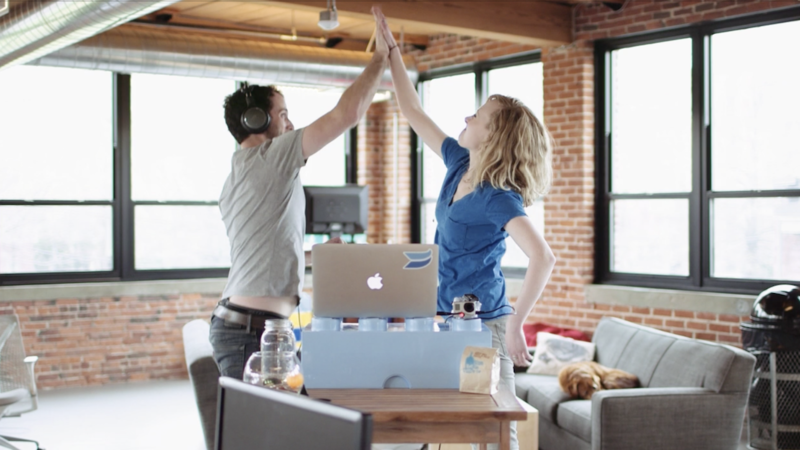 This feature provides Wistia users with a new and improved caption experience. With Interactive Captions, viewers now have the power to interact with your content as they wish. Let them scroll through, search, and select which parts of your video they want to jump to. Not only is this a step toward a more inclusive video experience, but it can also make a big impact on engagement. Captions can make your video worthwhile to watch in less audio accessible environments and across a wider audience. And if more people are interested and engaged, we’re confident your dwell times will start rising, too. Before you start brainstorming brand new ideas for content to fill out that calendar of yours, take a look at what’s right under your nose. It might not be immediately apparent, but transcripts of your video content can be the perfect starting place for creating derivative works to sprinkle around and grow your SEO. Take an explainer video, for example. Wyzowl reported in their video marketing survey that 95% of the 570 people surveyed in their report have watched an explainer video to learn more about a product or service. A transcript for this type of video could be rich with statistics, key quotes, tips, and takeaways. If people love the things they’re learning from explainer videos, why not reformat the most memorable information? Extract valuable points from your transcript for use in shareable social graphics, link-building, or publishing topical blog posts. Check out this product explainer video from Euromonitor International, an independent provider of global market research. If you’ve produced several related videos or episodic content, you could draw from their transcripts to compose an ebook, for example. Identifying numerical data for an infographic is also made easy with a transcription. We could go on and on connecting the dots, but by now, you get the picture! Transcripts can lend to an explosion of supporting pieces that you can share across the web. When your audience starts seeing you offer value in different forms, you can thank transcripts for being your secret weapon. With great power comes great responsibility, and the same is true for your business and its video marketing strategy. When over 5% of the world’s population has disabling hearing loss, your business has a responsibility to make your online videos more accessible. It wouldn’t be right for those individuals to miss out on your content because they didn’t have an equal opportunity to consume it. 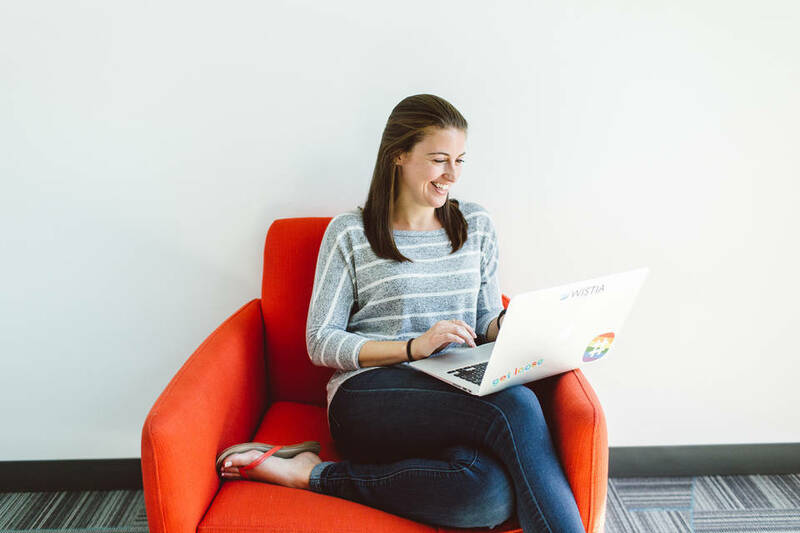 In some instances, you’re even required to meet some accessibility standards in order to comply with the law — check out this post to learn more about various media rules and regulations. At the end of the day, captions and transcripts play an important role in providing greater accessibility and better user experiences. ZVRS, a technology company offering video communication solutions for deaf and hard of hearing people, taught us about consuming video from a deaf person’s perspective. From this conversation, we learned once you caption one of your videos, it’s crucial to remain consistent if you want to meet your audience’s expectations. 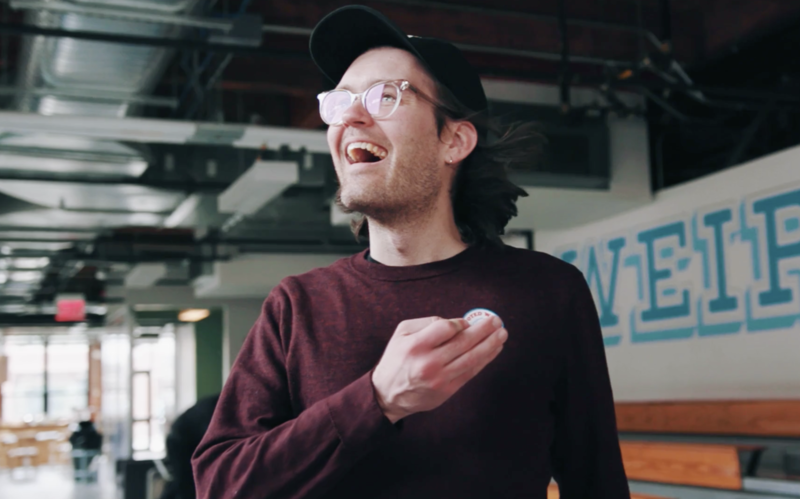 With Wistia, you can upload your own captions, order computer-generated captions, or order 99% accurate captions through our platform (carefully transcribed by a real human). Creating accurate captions is another factor affecting accessibility. 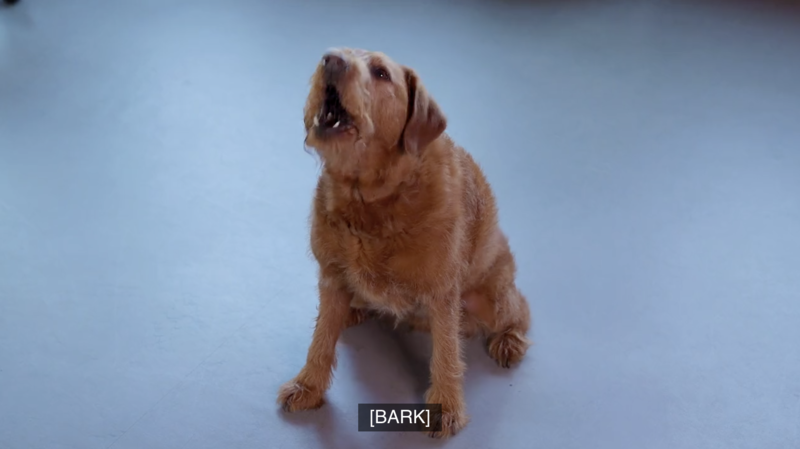 Non-synchronized captions (captions that don’t align with audio delivery) are one of the most frustrating aspects of video to a deaf or hard of hearing audience. Does your business need to release a video in a hurry? Hey, it happens! Just make a transcript available and caption the video later. Mindfulness for accessibility and accounting for positive user experiences helps your video hit a wider audience. If you do your best to check off all the boxes, you just might see your return visits rise as well as the number of people willing to share your content. You can bet that search engines will take note of your site activity and the SEO benefits will surely follow. 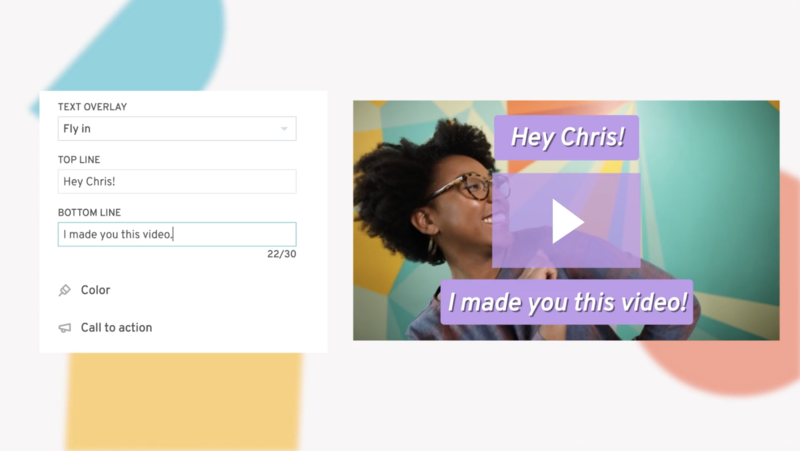 Whether you’re thinking of making your first video or you already have a library full of content, we hope the benefits of providing captions and transcripts are now crystal clear. Without either, your video might not effectively get indexed by Google. You’ll risk losing viewers in environments where audio isn’t accessible, and you could miss out on a bunch of derivative content. And all things SEO aside, accommodating for anyone in your audience who needs captions or transcripts to consume your video is simply the right thing to do, don’t you agree? 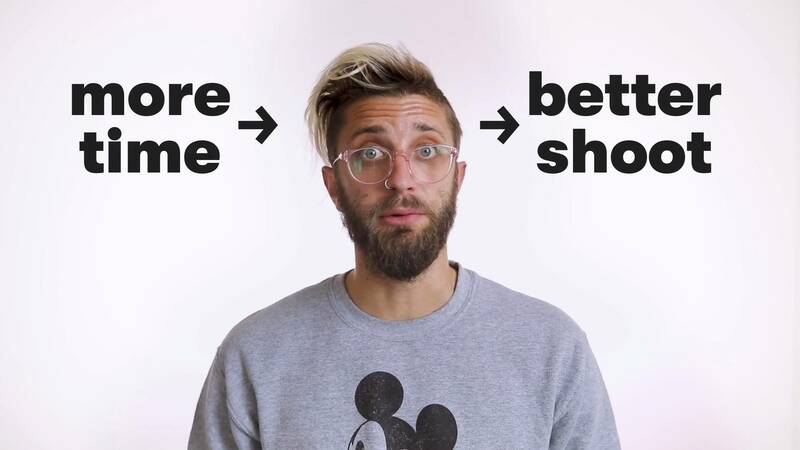 Now you know what to do — start incorporating captions and transcripts into your video strategy! Let viewers interact with your video content in the way that’s best for them and create a more inclusive video experience for all.